Upavasa (उपवास)- which means fasting in Sanskrit is made up of two terms- ‘Upa’ (उप) means ‘near’ and ‘vasa’ (वास) means ‘to stay’. Together they mean ‘staying near God’ while observing fast. The science of fasting has been dealt with in the Vedas (वेद) and Shastras (शास्त्र). According to these ancient Hindu scriptures, fasting is a method of purification that helps man in his mundane as well as spiritual life. Fasting is also called called ‘Vrata’ (व्रत). Vrata is a broader term than Upavas. Vrata stands for a religious practice that is undertaken to carry out certain obligations for achieving divine blessings. It may include Upavasa or fasting along with other physical obligations like not sleeping or not speaking for a certain period of time, or taking baths at particular holy river on earmarked auspicious days and so on. Temples are decorated with lights, there is continuous chanting, ‘Aartis/Bhajans’(hymns) are sung and people listen to holy scriptures being read out. Even in small villages, someone will read these scriptures in the evening, when other villagers will gather to listen. Many Hindus will also go on group pilgrimage tours around India and visit popular religious temples and places. Some Hindus will not cut their hair or shave over the month of Shravan. They will spend time reading holy books such as the Ramayan, Mahabharat or Shrimad Bhagvad Gita. People make generous donations to charities, temples, the poor, beggars and other worthy causes. They will cook for the poor and hungry even though they are fasting themselves. By doing these good deeds they feel that they will be rewarded, if not in this life then in the next life. There are some variations in the way people observe the fast. Some might only eat one vegetarian meal in the evening whilst others will not eat any food at all other than fruit/nuts and milk. 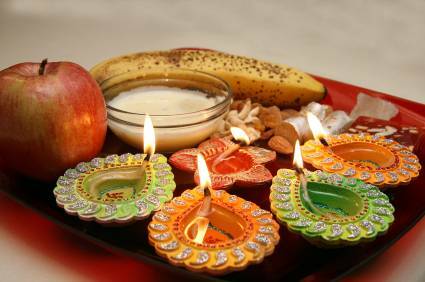 Many Hindus will also fast all year round on certain days of the week, depending on their beliefs. On Monday, they will fast for Lord Shiva and his wife Goddess Durga Statue. Some people will only have milk and lumps of crystalised sugar. In the morning, unmarried women will go to Lord Shiva’s temple with offerings of flowers, ghee, incense, special leaves, milk, honey, sugar and Tulsi leaves. They will gently pour lots of milk over Lord Shiva’s Lingam. It is believed that by offering these things to Lord Shiva and Goddess Durga, they will find their dream husband. Goddess Parvati (Durga) herself, is said to have done a lot of ‘tap’ (deep meditation) in the Himalayas to win the affections of Lord Shiva. Therefore, many unmarried women believe that by following Goddess Parvati’s example, they will also be rewarded in the same way. On Tuesday, Hindus will fast for ‘Ambe Maa’ (also known as ‘Durga’) and ‘Hanuman Ji’(The Monkey God, Lord Ram’s devotee). They will read Ambe Maa’s Aarti and visit temples to offer their prayers. On Wednesday, Hindus will fast for ‘Bahuchara Mataji’and similarly read the Aarti and visit temples to offer their prayers. 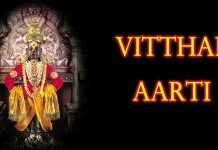 On Thursday, Maha Laskshmi (Lord Vishnu’s wife), Gayatri Mata, or Bhuvneshvari Mata is worshipped. Many people will fast on this day so that it will bring good health, wealth and help to achieve your aims in life. People will read prayer/story books and carry out joint family prayers in the morning and evening. On Friday, people will fast for Santoshi Ma. Many women will not eat any food that is sour. They will fast for a minimum of sixteen Fridays. Then, at the end, they will invite many girls (an odd number) under the age of sixteen to share food with them as well as giving gifts, so that their fasting bears fruit. They will offer their prayers, chanting to Santoshi Maa in the hope that contentment and happiness will come about in their family. On Saturday, Hindus will fast for Hanuman Ji and Sunny Dev. They will read the Hanuman Chalisa and go to Hanuman Ji’s temple offering special flowers and oil. They will pour oil all over a ‘murti’(statue) of Hanuman Ji’s head. They will read stories about Hanuman Ji and the Ramayan. Fasting on Saturdays is usually observed by men (on Tuesdays and Thursdays men will fast as well as women). On Sunday, Hindus will fast for all ‘Mata Jis’(goddesses). People will fast to keep all the Mata Jis happy. They will visit Mataji’s temple. By fasting on Sunday, it is believed that you will get cosmic energies from the goddesses (known as ‘Shakti’). In addition to weekly fasting, people might also fast on particular religious days/festivals. Hindus fast for a variety of reasons. One is from an astrological perspective. Some people believe that certain stars in the galaxy at certain times of the year can be harmful to individual families. They might bring bad health, misfortune and other evil spirits on earth. To ease the effect of these stars, people will fast and offer their prayers, to make them psychologically stronger and able to cope with such misfortunes. Another reason for fasting is based on what their stars say (from their birth). This is recorded in the Janma Patrika (a book that records the position of the galaxy’s stars at the time of birth). Many people will fast as guided by the astrologer/priest. There are many advantages to fasting. From a health point of view, by giving your body (stomach) a rest, your indigestion system improves and generally you will become healthier. Sleeping is improved by having a lighter stomach. Fasting also brings about a ‘feel good’ factor. The second advantage is that it helps you save on time. The time saved can be offered for charity work or doing good deeds for others. It saves money by not having to shop for food or cook. Any money saved can be donated to good causes. Fasting can be good for your health as long as it is not too excessive. Names and technical terms may vary according to the Indian dialect and Hindu tradition. For example, ‘Laskshmi’ may be more familiar to some readers as ‘Lakshmi’, ‘Ramayan’ as ‘Ramayana’, ‘Mahabharat’ as ‘Mahabharata’, and ‘Bhagvad Gita’ as ‘Bhagavad Gita’. 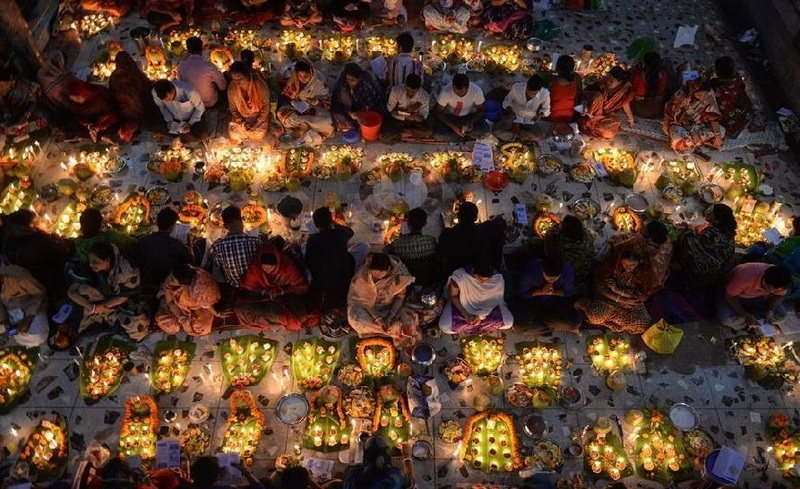 Hindus fast on certain days of the month such as Purnima (full moon) and Ekadasi (the 11th day of the fortnight). Certain days of the week is also marked for fasting, depending on individual choices and on one’s favorite god and goddess. On Saturday, people fast to appease the god of that day, Shani or Saturn. Some fast on Tuesdays the auspicious day for Hanuman, the monkey God. On Fridays devotees of the goddess Santoshi Mata abstain from taking anything citric. Fasting at festivals is common. Hindus all over India observe fast on festivals like Navaratri, Shivratri and Karwa Chauth. Navaratri is a festival when people fast for nine days. Hindus in West Bengal fast on Ashtami, the eighth day of the festival of Durga Puja. Fasting can also mean abstaining from taking certain things, either for religious reason or for the sake of good health. For instance, some people refrain from taking salt on particular days. It is common knowledge that excess salt and sodium causes hypertention or elevation of blood pressure. Another common kind of fast is to forego taking cereals when only fruits are eaten. Such a diet is known as phalahar.